Artist's concept of the Terra spacecraft in orbit above the Earth. The mission is designed to improve understanding of the movements of carbon and energy throughout Earth's climate system. 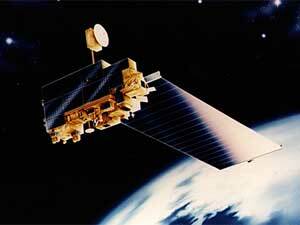 Terra data have helped improve scientists' ability to predict the weather. Terra's ability to track the speed, direction, and height of clouds allows scientists to accurately measure how hard and which way the wind is blowing over areas where they had precious little data before. 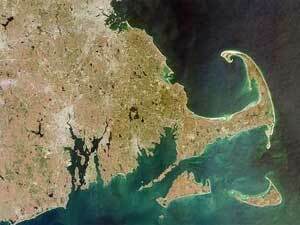 This is an image of Cape Cod taken by the MISR (Multiangle Imaging SpectroRadiometer) instrument on the spacecraft.